Before I came to Paris, I was led to believe that the Nicholas Flamel House in Rue de Montmorency in Le Marais was the oldest residential house still standing in Paris. When walking down Rue François Miron, I found that this was not true. One of the houses in this street predates the alchymists house by at least 70 years. There are few areas in Paris as historically interesting as Le Marais. 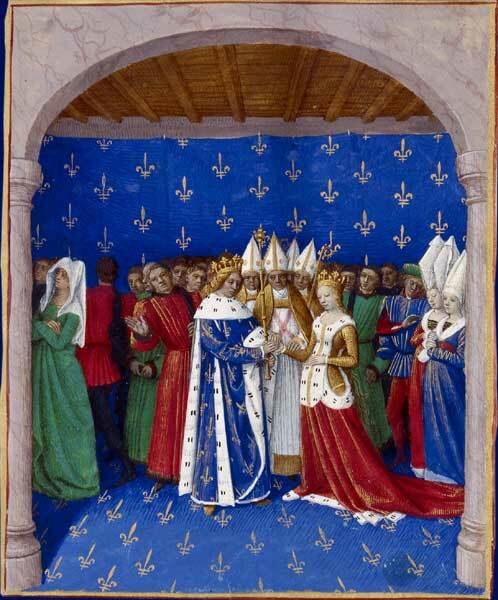 Here you find buildings from the Middle Ages as well as cutting edge contemporary architecture. The area escaped the numerous fires as well as the city planners that transferred the French capital in the 19th century. 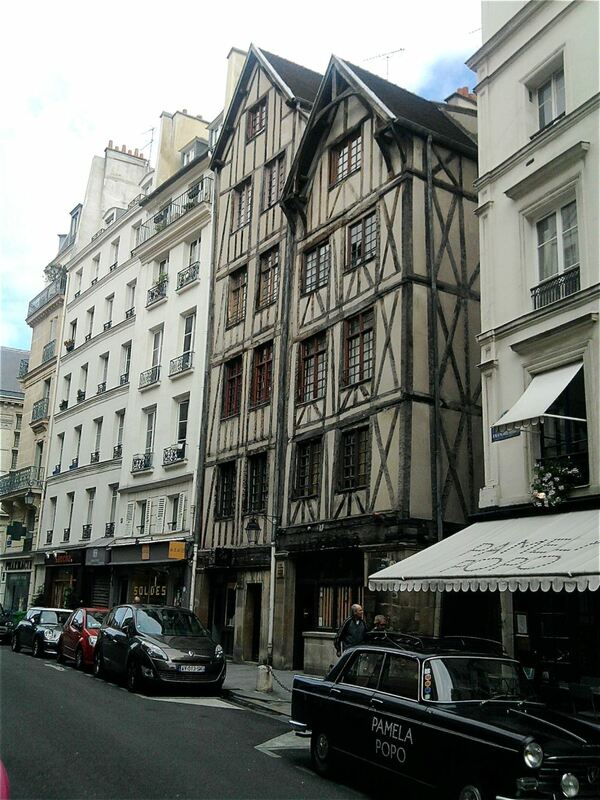 As I studied the architecture of Le Marais on the net, I was told that the house in 51 Rue de Montmorency from 1407 was the oldest residential building in Paris, but I discovered even older buildings in Rue François Miron closer to the Saint-Paul metro station. On the corner of Rue François Miron (n°11-13) and rue des Barres and rue du Grenier-sur-l’Eau (literally “granary above water”), I found two typical medieval half-timbered houses, the oldest said to be erected as early as 1327, the year before the House of Valois took over the French throne. These two gabled houses are extraordinary buildings, extremely narrow, with only two windows per floor. The half-timbering used to be covered by plaster, and was uncovered, relatively recently, during restoration work in the 1960’s. It was Henri IV (1589-1610), that commisioned the construction the the nearby Place des Vosges that in 1607 ordered that visible wooden elements be covered with plaster to prevent fire. It is intriguing to know that there still are, as in streets as rue Saint Antoine, similar ancient, small and narrow structures with two- window facades and gables, rebuilt or transformed on their original narrow plots. Buildings like these contributes to the charm and the atmosphere of Les Marais, as has turned this area into the most upscale and chic downtown area in Paris to live in.